Tacy Jones had come to Mule Hollow to learn how to train wild horses. But former rodeo champion Brent Stockwell might as well carry a sign saying "No Cowgirls Allowed." If Brent doesn't think ladies belong in the pen, determined Tacy will just have to change his mind. When Tacy learns the secret behind his stance, she longs to help him heal. She's ready to show the handsome cowboy that taking a chance on your dream is what life--and love--is all about. 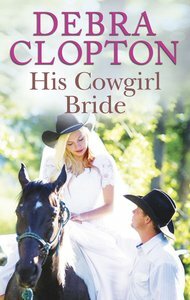 About "His Cowgirl Bride (Love Inspired Series)"
Debra Clopton lives in Madisonville, TX.